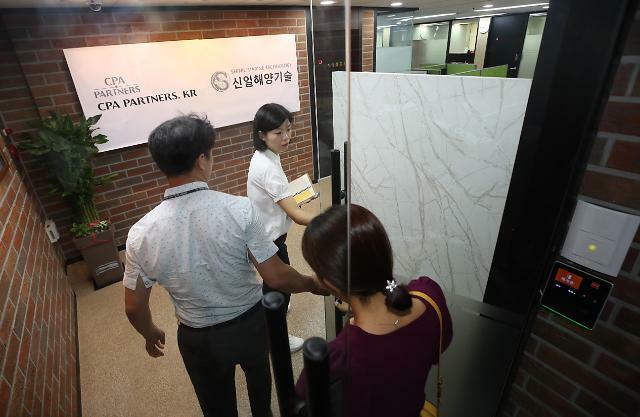 SEOUL -- Police raided the office of Shinil Group, a marine salvaging firm which claimed to have discovered a sunken Russian warship full of gold, on allegations of investment fraud. The police raided eight locations including the office of Shinil Group in western Seoul on Tuesday. Shinil Group is reported to have closed down recently after the company was accused by investors that its claims about the Russian shipwreck are nothing but a scam. However, the investigators said that they are focusing on confiscating evidence such as accounting records and computer hard drives regardless whether Shinil is currently in business or not. Shinil claimed on July 15 that it has found Dmitrii Donskoi, a Russian Imperial Navy warship, lying on a seabed off Ulleungdo, a South Korean island located between the Korean peninsula and Japan. The company has tried to lure investors with claims that the ship sank with 200 tons of gold ingots and coins aboard in 1905 during a Russo-Japanese naval battle.